We help police officers end high speed pursuits from the safety of their vehicle. With a push of a button, a spiked strip shoots out and pops the fleeing car's tires instantly. Before, officers had to manually place spike strips along the road, putting them directly in danger. This tech hasn't been innovated since 1972, and now, nearly 12,000 people have died due to high speed chases. We're the first solution that lets officers deescalate a potentially fatal car chase with the push of a button. Michael was inspired to invent a safer solution for police pursuits after watching a program on high speed chases. A long-time problem solver, he conferred with law enforcers to perfect the system. Todd brings 36 years of product research and development to the MobileSpike team. His aptitude for innovative thinking ranges from marine propulsion systems to anti-theft equipment . I saw it, and I love it! MobileSpike lets one officer shut down a chase without putting his safety at risk at the side of the road with a hand-thrown spike strip. [This is] an opportunity for you and me to own a piece of this company, one that makes money, stops criminals, and keeps police safe. Until now, we've been between a rock and a hard place. This will help alleviate that so we can do out duty without putting the public in extra danger. The officer can deploy the spikes from inside the car. We're always looking at technology to make our jobs safer and easier. This is certainly one of those applications. It's safe for the officers, it's safe for the motoring public, it's safe for the people that are pursuing behind me. My nephew has type 1 diabetes, so I am particularly interested in technology that can treat children will life altering diseases. "High speed police chases have killed thousands of innocent bystanders. Victims include small children, teenage drivers and the elderly." We founded MobileSpike to address a real problem: over 11,000 people have lost their lives to high speed pursuits and almost half of them have been innocent civilians. MobileSpike gives officers the first real answer to controlling and quickly deescalating a potentially fatal car chase. We've built the first automated tire-spiking system that allows law enforcers to stop high speed pursuits from the safety of their vehicle. Our system has been field-tested all over the United States, from the swamps of Florida to the rainy streets of Seattle. 100% of the officers who've tested MobileSpike agree it’s safer and faster than any other alternative and they also know that all other systems are incapable of being deployed from a moving vehicle. And for those worried about tire blowout, our double-patented system uses hollow quills to puncture tires, which allows for slow, controlled deflation over 50-60 seconds. In all our years of testing, MobileSpike has never once caused a blowout. The manual spike strips—where officers must get out of their car to throw the net of spikes across the road—was patented in 1972. It's antiquated, dangerous and unpredictable. We're the only solution that keeps officers in their vehicle and in control of the situation. the vehicle runs over it and we stop the pursuit within a few minutes." Every agency that has used MobileSpike is convinced that this product is the way of the future. With hundreds of successful deployments, MobileSpike has become a proven technology in law enforcement solely by word of mouth. We're now preparing to scale our manufacturing and deliver units to waiting customers. There are nearly 17,000 police agencies in America alone, with over 400,000 police vehicles, and MobileSpike will accomplish its sales goals with the sale of a mere 9,000 total units. Development of our new Gen2 system is nearly complete! We’re under time, and under budget on this area of our business plan by close to $200,000. We’ve made this new system lighter and stronger, and will be delivered to our customers at half of the cost of current model. The Gen2 system will soon be complete, and all that will be left is to order inventory, and deliver product to waiting customers. PMI was formed to develop and test a modern vehicle disablement system, the first of its kind since the early '70s. System finalized with 100% effectiveness in company testing. Trials conclude with 100% effectiveness and all agencies purchasing units. Began long-term product reliability and effectiveness test. We've begun developing our "Gen 2" system, which will lower the retail price by about 50%. Having secured additional funds from investors, we've made significant progress on Gen 2, with testing already underway. Full-scale development of our Gen 2 system that will lower the cost-of-goods and increase our margins. Increase production to have units available for shipping upon order. Work with law enforcement agencies to update their pursuit management tactics with MobileSpike & train officers. "The reason I’m a shareholder in MobileSpike is, first, because of the profit margins. I’m a numbers guy. The next thing I look at is the business model, MobileSpike has their field tests and have proved they have proof-of-concept and a place in the market. The other thing I look at is how good is the product? Does it have a competitive edge? Next, I look for integrity, more integrity and more integrity. MobileSpike has all of the above." The current methods used for stopping high speed chases are outdated, dangerous, and not particularly effective. For the company that solves this problem, a fortune awaits. And MobileSpike is that solution. As an investor, being a part of a company that solves a major problem is right where you want to be. Over the years, MobileSpike Inc. has perfected the fastest and safest chase stopping system in the world. With years of work and many milestones behind us, with all the chases we have stopped, with all the tragedy we have averted, we now offer you an opportunity to profit from the next stage of this fantastic company. As CEO my chief goals are to save lives, and to increase share value for you, the investor. Join us, and together we’ll make a difference for America, and your financial future. We founded MobileSpike to save lives. 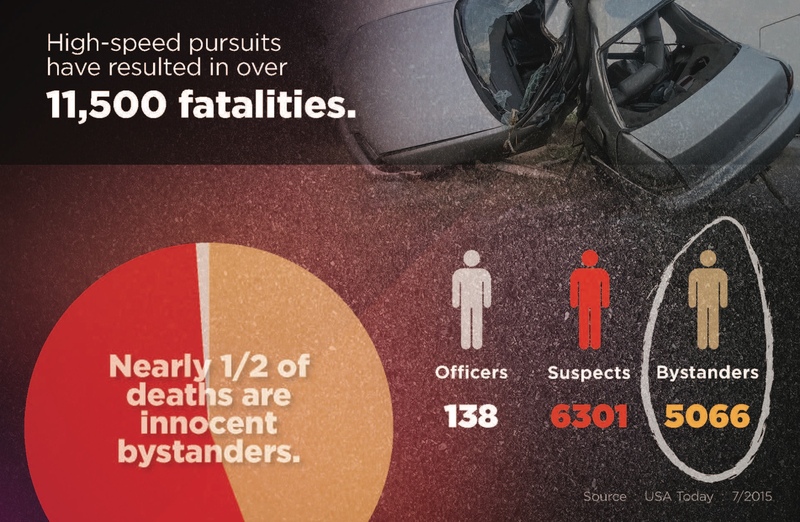 Nearly everyday, someone dies from a high speed pursuit and nearly 50% of the time, it's an innocent bystander. 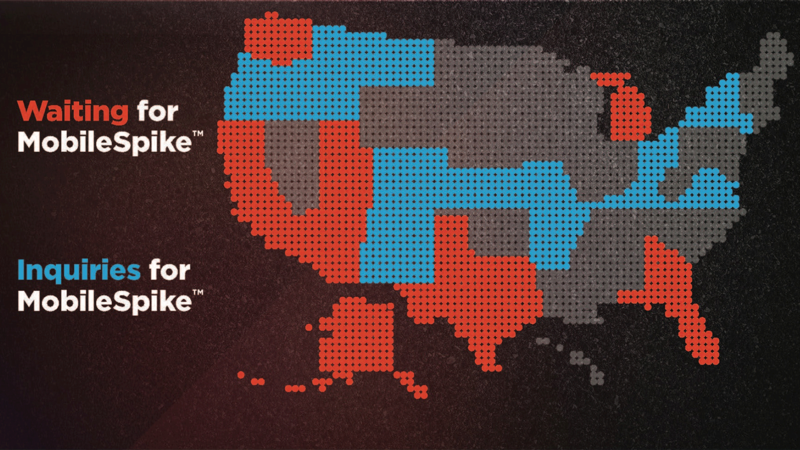 For the past four years, we've done extensive testing with the police community, and already, law enforcement agencies in 22 states are waiting to put our devices on their vehicles. Our end goal is to place MobileSpike in every community across the country making America and it’s people safer on our roads. We’ve built a technology that allows law enforcement officers to quickly stop pursuits from the safety of their vehicle with the push of a button. MobileSpike is vehicle-mounted, retractable, in-motion tire-spiking system that is safe and effective at speeds from 15 to 120 miles per hour in a wide range of weather and road conditions. It greatly reduces pursuit time and public risk. MobileSpike was created so that no officer has to get closer to a suspect's vehicle than he normally would in traffic. Not only is the officer protected by his fortified police vehicle, but MobileSpike deploys in a suspect’s blindspot, so he or she often doesn’t realize MobileSpike was activated until the tire is flat. Officers who’ve tested and used MobileSpike agree the product is safer and more effective than the competition.The “spike” is actually a hollow quill, so when the tire is punctured, the quill remains pierced through the rubber, allowing for a controlled deflation. This gives the officer the ability to control and manage the pursuit. What type of response have you received? 100% of the field trial agencies became customers, 90% re-ordered product, and ALL reported an undeniable increase in officer and public safety. (The 10% who did not reorder were smaller precincts that had already outfitted their entire fleet. )We consistently receive new inquiries about product availability despite the fact that we have done no marketing, no advertising, and no trade show demonstrations. Interest in MobileSpike has been abundant, spreading through law enforcement mostly by word-of-mouth because the product has been proven to work.We have developed a list of agencies in 21 states who have expressed interest in our product. Everywhere we demonstrate the product, police officers are interested in learning how they can add MobileSpikes to their fleet. How is the second version of your product a game changer for you? Our Gen 2 system performs with the exact same functionality and effectiveness of our first system. They are visually identical. The difference is the cost. Our new system will retail for less than half the price of our original system. Even though our economy is on its way back, it has not come back to 2007 levels, and we need to account for that in order to meet our sales goals. In addition, with the same amount of money, an agency can deploy two times the number of MobileSpike systems into their agency. We have always said that “The best MobileSpike salesman in the world is a MobileSpike in the field.” With that being true, our growth will be dramatic with our Gen2 system. Why are you raising this round? Although we consistently receive inquiries about MobileSpike, our missing puzzle piece is cash to fund the first major round of manufacturing. Police agencies are not able to allocate their budget to pre-ordering units, so that leaves it to us to raise the capital. "We plan to raise $1.8 million from both non-accredited and accredited investors during this crowdfunding round, and to use the funds to manufacture MobileSpike systems and fund operations, manufacturing, inventory, fulfillment, and trainingMobileSpike does not manufacture or assemble the product. We use a competitive process to select professional manufacturers for each component, and units are assembled in the U.S. Fully assembled MobileSpike systems are shipped to our fulfillment center in Longview, WA, and distributed to police departments from there. This allows MobileSpike to focus on its core competencies and mitigates risk. Our business model is designed to deliver a return on your investment by positioning our company for sale to a larger technology company. Your profits are delivered once this buyout happens. 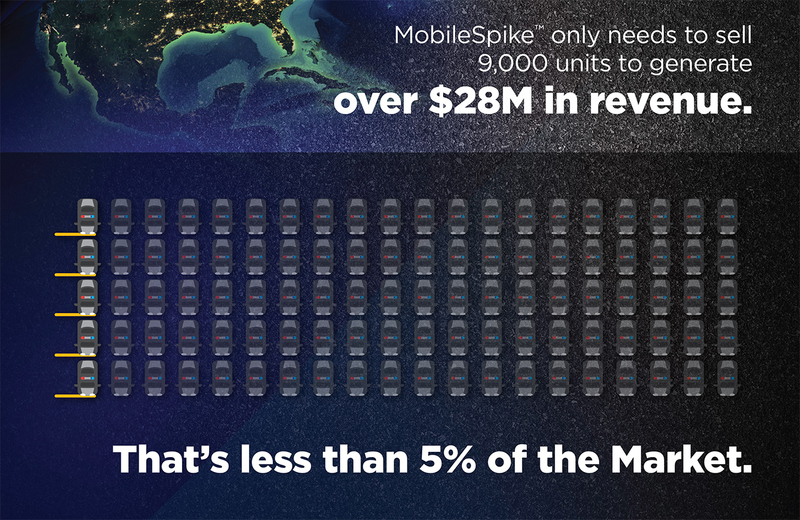 MobileSpike only needs to sell 9,000 units to generate revenue in excess of $28,000,000, with profit margins of greater than 50%. Our sales forecasts are conservative - our competitors have sold over 250,000 hand-deployed units to terminate chases.Trade shows are the best opportunity for us to meet a large amount of customers and decision makers in a short amount of time. We know the best law enforcement trade shows around the country, and we’ll be there. In-person demonstrations leave no doubt that MobileSpike can help a police agency, and they help to spark buzz about our product, especially at trade shows and other well-attended industry events.MobileSpike will be featured on PoliceOne.com’s Pursuit Management page, which receives over 10,000 hits per month. PoliceOne.com is by far the internet’s leader in new gear, gadgets and training for law enforcement, and we have had a relationship with them for years. We have more than 50% profit margins on each unit. How would you describe the industry? The MobileSpike is only available to police or government agencies. Safety equipment is always a priority for police agencies. There are 16,869 city, county, state, and federal law enforcement agencies in the United States, with approximately 400,000 currently active service vehicles.MobileSpike only needs to sell 9,000 units (about 3-5% of the market) to hit our minimum ROI. StopTech, Ltd. currently holds much of the business worldwide. The Stop Sticks® are deployed by hand, putting the officer right in the middle of a pursuit’s greatest chaos. Despite the danger during use, they have been the best solution on the market, and since 1993 over 250,000 Stop Sticks® have been sold worldwide.Stinger Spike and Mobile Deployment Systems both provide equipment to stop everything from small to large vehicles, but require an officer to be standing close to the path of an unpredictable driver and vehicle. What obstacles have you found? Our company was ready to launch in 2011-12, but given the worldwide financial crisis at the time, we had a decision to make. Our product is available only to police or government agencies and at the time budgets were being slashed, sometimes by up to a third.At the time, we had two paths. We could raise money from people who really didn't have it to invest, use it produce our original MobileSpike system in a poor economy with high manufacturing costs, and then attempt to sell systems to government agencies who’s budgets were being cut at the time. Or we could wait out the recession and use that time to do a thorough product reliability and effectiveness test. We chose to wait, to test and to improve. What are the biggest obstacles between you now and the end goal? Our technology is the fastest and safest system in our field, and agencies across the country and abroad is waiting for it. So, the biggest obstacle MobileSpike faces is funding. We have customers waiting, we have agencies interested in putting their hands on it, and what our company needs is the inventory to make sales and give police the chance to use it. When they use it, they love it. After all the groundwork that we have laid, after all the proving we have done, after all the chases we have stopped, funding is the main thing that is standing in our way. When can we see MobileSpike shipping on a large scale? We have secured half of the funding to produce our Gen 2 system. Once the other half of the funding is secured, management believes it will be less than 6 months to bring the product to market in full production. And, we're very excited to try to accelerate that timeline. Each member of our leadership has qualifications that lends unique experience to the team. Michael Moormeier and Todd O’Halloran invented the first MobileSpike prototype, and Todd continues to work on new technologies for the company. Michael leads the team, fundraises, and works with police agencies around the country. Raymond Moss served in the Washington State Patrol for 25 years, much of that time as a police driving trainer. Having been involved in many high-speed pursuits himself, Ray brings real world wisdom and practicality to ensure MobileSpike integrates well with police equipment. Gabe Terreson and Larry Fortman are both talented businessmen and serial entrepreneurs. Our cash in hand is $1,400, as of April 2018. Over the three months prior, revenues averaged $0/month, cost of goods sold has averaged $0/month, and operational expenses have averaged $600/month. 3. Move on to the next purpose, all while not selling our product due to the fact that the purpose was to create our new product. So, its raise, spend, raise etc. Which is honest, but it doesn't look good on paper. Thank you. MobileSpike Technologies Inc. was incorporated in the State of Delaware in March 2016. Our company was organized in March 2016 and has limited operations upon which prospective investors may base an evaluation of its performance. Assets. As of December 31, 2017, the Company had total assets of $37,516, including $0 in cash. As of December 31, 2016, the Company had $48,983 in total assets, including $255 in cash. Net Loss. The Company has had net losses of $5,864. Liabilities. The Company's liabilities totaled $26,813 for the fiscal year ended December 31, 2017 and $32,416 for the fiscal year ended December 31, 2016. To-date, the company has been financed with $1,315,183 in equity. 1 (1) Our business prospects are difficult to evaluate because we are a development stage company and dependent upon profitable future investments. MobileSpike, Inc. was organized on July 26, 2007. It was merged into MobileSpike on May 7, 2016. After starting to develop its business, MobileSpike, Inc. was in a state of dormancy for approximately four years, due, in part, to the economic downturn that began in 2008 and appears to now be dissipating. As a result of its history, MobileSpike should be considered by investors to be an early stage company. As an early stage company, MobileSpike is subject to all of the risks that are attendant to any recently formed business and should be considered as a startup business with significant risk. Because of MobileSpike’ short operating history, it is more difficult to accurately assess growth rate and earnings potential. It is possible that MobileSpike will face many difficulties typical for development stage companies. These may include, among others: relatively limited financial resources; developing new investment opportunities; delays in reaching its goals; unanticipated start-up costs; potential competition from larger, more established companies; and difficultly recruiting and retaining qualified employees for management and other positions. The Company may face these and other difficulties in the future, some of which may be beyond its control. If MobileSpike is unable to successfully address these difficulties as they arise, the Company’s future growth and earnings will be negatively affected. The Company cannot give assurance to prospective investors that MobileSpike’ business model and plans will be successful or that MobileSpike will successfully address any problems that may arise. There is substantial doubt about the ability of development stage companies such as MobileSpike to continue as a going concern. The factors considered in this assessment include our lack of operating history and lack of current revenues, and our need to attract significant working capital and investment funding in order to meet our business objectives. These substantial risks could impair our reputation, damage the brand, and negatively impact operating revenues. 2 (2) The Company has limited working capital and requires significant additional financing, which may or may not be available at all or on a timely basis. 3 (3) MobileSpike may incur significant losses and there can be no assurance that MobileSpike will ever become a profitable business. It is anticipated that MobileSpike will initially sustain operating losses. Its ability to become profitable depends on success in marketing our products and making profits and generating cash flow from operations. There can be no assurance that this will occur. Unanticipated problems and expenses often encountered in the investment of capital and resources may impact whether the Company is successful. Furthermore, MobileSpike may encounter substantial delays and unexpected expenses related to development, technological changes, marketing, regulatory requirements and changes to such requirements or other unforeseen difficulties. There can be no assurance that MobileSpike will ever become profitable. If MobileSpike sustains losses over an extended period of time, it may be unable to continue in business. 4 (4) We are subject to government regulations. Aspects of our business and our products will be regulated at the local, state, and federal levels. Our products may be subject to state, local and Federal environmental laws and regulations, including those relating to the handling and storage of hazardous materials. We and our products will also be subject to significant governmental regulation relating to labor conditions, safety in the workplace, healthcare and other human resource issues. The nature and scope of future legislation, regulations and programs cannot be predicted. While we anticipate that we and our products will be in compliance with all applicable governmental regulations, there still may be risks that such laws and regulations may change with respect to present or future operations. Such additional costs would increase the cost of investments and operations and decrease the demand for products and services. We and our products will be ultimately responsible for compliance with such regulations and for obtaining and maintaining all required permits and licenses. Such compliance may be time consuming and costly, and such expenses may materially affect our future ability to break even or generate profits. 5 (5) Our future revenue and operating results are unpredictable and may fluctuate significantly. It is difficult to accurately forecast MobileSpike revenues and operating results and they could fluctuate in the future due to a number of factors. These factors may include: MobileSpike’ ability to develop and make profitable products; generate cash flow from consulting services; the amount and timing of operating costs; competition from other market participants that may reduce market share and create pricing pressure; and adverse changes in general economic, industry and regulatory conditions and requirements. MobileSpike’ operating results may fluctuate from year to year due to the factors listed above and others not listed. At times, these fluctuations may be significant. 6 (6) The nature of the Company’s business strategy is high-risk. Investment in the Company requires a long-term commitment with no certainty of return. The Company is in an industry that could experience financial difficulties that may never be overcome. Since the Company’s business involves a high degree of risk, poor performance could severely and adversely affect total returns. 7 (7) The Company may encounter great difficulty or even a complete inability to develop and make suitable products. An investor must rely upon the ability of management to make future decisions consistent with the Company’s investment objectives and policies. Although the principals have had some success in the past, they may be unable to invest the Company’s committed capital in a profitable manner or meet its business objectives. Shareholders will not have the opportunity to evaluate personally the relevant economic, financial, and other information that will be utilized by management in the deployment of capital. 8 (8) MobileSpike may not be able to create and maintain a competitive advantage. The potential markets for technical products are characterized by rapidly changing technology, evolving industry standards, frequent enhancements to existing products, the introduction of new services and products, and changing customer demands. The Company’s success could depend on the ability of management to respond to changing situations, standards and technologies on a timely and cost-effective basis. In addition, any failure by such management to anticipate or respond adequately to changes in technology and customer preferences and demand could have a material adverse effect on MobileSpike’ financial condition, operating results and cash flow. 9 (9) Our aggressive growth strategy may not be achievable. For the foreseeable future, we intend to pursue an aggressive growth strategy for the expansion of our business, and our future operating results will depend largely upon our ability to adequately capitalize our company and develop successful products, find suitable investments and acquisitions, develop our business, build key relationships and successfully develop and manage our business. Our ability to grow will depend upon many factors, including our ability to identify and invest in businesses that have products and services that are in demand, to identify and enter new markets, and to obtain adequate capital resources on acceptable terms. Any limitations on our ability to accomplish any of these and other goals will have a material adverse effect on our business, results of operations, and financial objectives. There is no assurance that our operations will be successful or achieve anticipated or any operating results. MobileSpike’ future success depends on the continued services and performances of key management, consultants and advisors, and it currently does not carry key person life insurance. However, MobileSpike plans to secure key person life insurance when such coverage is deemed financially prudent. Also, MobileSpike’ future success may further depend on MobileSpike’ ability to attract and retain additional key personnel and third party contractual relationships. If MobileSpike is unable to attract and retain key personnel and third party contractors, this could adversely affect our business, financial condition, and operating results. 11 (11) MobileSpike does not plan to pay dividends to its shareholders in the near future and there is no guarantee it will ever receive any profit from it operations so as to be able to declare and pay dividends to its shareholders. The principal investment objective of the Company is to make business profits that present opportunities for significant appreciation to the Company. It is anticipated that certain product research and development will be leveraged and will not provide the Company with any significant cash distributions until new products are sold. Accordingly, the Company may not be able to pay dividends. There can be no assurance with respect to the amount and timing of dividends to the Company’s shareholders, or that they will ever be made. The Company initially intends to retain cash from its operations to fund the development and growth of its business. 12 (12) We will have broad discretion on how the net proceeds of this private placement are utilized. The Company has broad discretion on how to allocate the proceeds received as a result of this private placement and may use the proceeds in ways that differ from the proposed uses discussed in this Offering Statement. If the Company fails to spend the proceeds effectively, our business and financial condition could be harmed and there may be the need to seek additional financing sooner than expected. 13 (13) We anticipate substantial competition. We are aware of three companies that are well established within our industry. The largest of these companies is “StopTech Ltd.” StopTech has been in the pursuit management industry for decades and has approximately 90% of worldwide sales. The other two identified competitors are Stinger Spike and Mobile Deployment Systems. These entities are larger and have greater financial, managerial and other resources than we do. We believe that we will be able to compete with these entities primarily on the basis of our products, our small team, hands-on approach, the experience and contacts of our management and our responsive and efficient decision-making processes. 14 (14) Our pro forma financial statements rely on assumptions that may not prove accurate. Certain pro forma financial information may be provided to prospective investors for illustrative and informational purposes only. In preparing the pro forma financial statements, we have made certain assumptions concerning our business and the market, which may not be accurate. 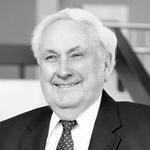 15 (15) Investors may suffer potential loss on dissolution and termination. In the event of a dissolution or termination of the Company, the proceeds realized from the liquidation of assets, if any, will be distributed in the priority established by applicable law, but only after the satisfaction of claims of creditors. Accordingly, the ability of an investor to recover all or any portion of its investment under such circumstances will depend on the amount of funds realized and claims to be satisfied therefrom. 16 (16) Actual results may vary from any projection we present. We may provide certain projected results of operations to prospective investors in connection with this offering. Projections are hypothetical and based upon present factors thought by management to influence our operations. Projections do not, and cannot, take into account such factors as market fluctuations, unforeseeable events such as natural disasters, the terms and conditions of any possible financing, and other possible occurrences that are beyond our ability to control or even to predict. While management believes that the projections reflect the possible outcome of our operation and performance, results depicted in the projections cannot be guaranteed. 17 (17) Our operating costs are unpredictable. In addition to general economic conditions and market fluctuations, significant operating cost increases could adversely affect us due to numerous factors, many of which are beyond our control. Increases in operating costs for MobileSpike or any of our products would likely negatively impact our operating income, and could result in substantially decreased earnings or a loss from operations. 18 (18) We may not be able to protect our intellectual property. In addition to our patents, we intend to explore options for protection of certain intellectual property, primarily in the form of trademarks and trade secrets but have not made any filings to date. We anticipate developing certain trade secrets and may handle trade secrets that are the property of others. We regard the legal protection of our intellectual property (and the intellectual property of others) as important to future success and will rely on a combination of trade secret laws, copyright, and trademark laws, confidentiality procedures and contractual restrictions to establish and protect our proprietary rights in products and services. There can be no assurance that the steps we take to protect our proprietary rights will prove sufficient to prevent misappropriation of such proprietary rights. 19 (19) Incidents of hacking, identity theft or cyberterrorism may adversely impact our operations. Our business operations are and will continue to be dependent upon digital technologies, including information systems, infrastructure and cloud applications. The maintenance of our financial and other records is also dependent upon such technologies. The U.S. government has issued public warnings that indicate that such business information technology might be specific products of cyber security threats, including hacking, identity theft and acts of cyberterrorism. Our critical systems or the systems of our products may be vulnerable to damage or interruption from earthquakes, storms, terrorist attacks, floods, fires, power loss, telecommunications failures, computer viruses, computer denial of service attacks, or other attempts to harm the systems. Many of these systems will not be fully redundant, and disaster recovery planning cannot account for all eventualities. Deliberate attacks on, or unintentional events affecting, our systems or infrastructure, the systems or infrastructure of third parties or the cloud could lead to corruption or loss of our proprietary data and potentially sensitive data, delays in our operations, difficulty in completing and settling transactions, challenges in maintaining our books and records, environmental damage, communication interruptions, other operational disruptions and third party liability. Further, as cyber incidents continue to evolve, we may be required to expend additional resources to continue to modify or enhance our protective measures or to investigate and remediate any vulnerability to cyber incidents or natural disasters. 20 (20) We may not have adequate insurance. Adequate insurance to cover product liability claims and other risks related to our business may not be available, or available only at an unacceptable cost. There can be no assurance that we will be able to obtain adequate insurance coverage or that it can be obtained at reasonable cost. As protection against such risks, we plan to secure and maintain insurance coverage against some, but not all, potential losses. Even if our insurance is adequate and customary for our industry, losses could occur for uninsurable or uninsured risks or in amounts in excess of existing insurance coverage. 21 (21) Management may have significant conflicts of interest. Management and certain affiliates will devote as much of their time to the business of the Company as they believe, in their sole judgment, is reasonably required. Accordingly, there may be conflicts of interest between investments made by the Company and other investments or business ventures in which management or affiliates are participants. Any agreement between the Company and the management and affiliates shall contain terms at least as favorable to the Company as the fair market terms offered by other similar companies to third-party providers of comparable services. The management and persons and entities affiliated with the management may be appointed or utilized to provide services for investments in which the Company invests. Therefore, the selection of investments may be influenced by the ability of the management and its affiliates to provide other services. Moreover, the management and its affiliates may profit from investments even where the Company loses all or a portion of its investment. 23 (23) There is significant risk associated with the Company’s indemnification of affiliated parties. Our Directors and executive officers will be relieved of liability to the Company or our Shareholders for monetary damages for conduct as Directors and executive officers to the maximum extent permitted by Delaware law. Further, our certificate of incorporation and bylaws permit us to indemnify, to the fullest extent provided or allowed by law, our Directors and executive officers against damages that we or our shareholders incur in connection with our business. We may also enter into indemnity agreements with our Directors and executive officers. The exculpation provisions contained therein may have the effect of preventing shareholders from recovering damages against our Directors and executive officers caused by poor judgment or other circumstances. The indemnification provisions may require us to use our assets to defend our Directors and executive officers against claims, including claims arising out of negligence, poor judgment, or other circumstances. Our Directors and executive officers may not be liable to the Company or shareholders for any act or omission performed or omitted by them in good faith on our behalf and in a manner reasonably believed by them to be within the scope of their authority and in our best interests. The Company will be required to indemnify the officers of the Company and certain persons affiliated therewith for losses, costs, liabilities and expenses incurred by such parties in connection with the business of the Company and investment decisions made on its behalf, except for actions taken in bad faith or which constitute gross negligence or willful misconduct. Such liabilities may be material and may have an adverse impact on the returns to the shareholders unless insurance proceeds are available. The indemnification obligations of the Company will be payable from the assets of the Company. 24 (24) Key Employees do not have Employment Agreements. As of the date of this Offering Statement, none of the executive management are under employment contracts. It is anticipated that upon completion of this offering key personnel will enter into employment contracts with the Company. Members of the executive management team will take draws, from time to time, and executives will become salaried once the Company has raised sufficient capital. 25 (25) There is no public market for the Shares and you will have to hold your Shares indefinitely, subject only to a private sale to a qualified counterparty that is exempt from registration, or a registration of your common shares, or a sale of the business. Currently, there is no public or other trading market for the Shares, and there can be no assurance that MobileSpike will be able to facilitate a private sale of your Shares or that any other market will develop. Thus, there can be no assurance that you will be able to liquidate your investment in case of an emergency or if you otherwise desire to do so. Investment in the Shares is of a long-term nature. Accordingly, purchasers of Shares will bear the economic risk of investment for an indefinite period of time. 26 (26) Our Shareholders’ Agreement imposes significant restrictions on transfer of Shares. Investors that purchase Shares in this Offering will be required to become bound by our Shareholders’ Agreement. A copy of the Shareholders’ Agreement is available upon request from the Company. The Shares may be transferred only if certain legal requirements as well as requirements imposed by our Shareholders’ Agreement are satisfied and only with our consent. The Shareholders’ Agreement imposes certain requirements and restrictions on the ability of a shareholder to sell or transfer the Shares. Among other requirements, in most circumstances, the shareholder must first offer the Shares to the Company and then the other shareholders before the shareholder may transfer the Shares to a third party. Certificates representing the Shares will also bear a legend indicating that the Shares are subject to the restrictions on transfer imposed by the Shareholders’ Agreement. 27 (27) Shares are subordinate equity interests. The Shares purchased in this offering will constitute equity interests, which will be subordinate to all of our current and future indebtedness with respect to claims on our assets. In any liquidation, all of our debts and liabilities must be paid before any payment is made to the holders of our Shares. $50,000 Finalize Gen2 and prepare for production allowing the company to provide MobileSpike to its customers at half the price of Gen1 while simultaneously increasing our profit margins. $200,000 Purchase inventory and sell to waiting customers. $388,000 Sales, Marketing and Operations. Allowing the company to go where the sales are, and promote our solution nation wide. Looks like a great product that can really help the good guys and the public. Good luck on those orders. Former Military Officer. Last 30 years in Commercial Real Estate, development and home building along with Mortgage Banking. It's okay for American people have secure over the high ways , make honest citizen safe . Great idea...I'm looking forward to seeing them in all police departments. This will help the safety of all. Hey my name is Terrence Hill and I'm 25/married. I ran across this and read almost all the questions and answers and thought this was the best thing yet for law enforcement. I have made an investment, and will continue to support! I'm 25 years old, married and my daughter is 3. I found your product interesting and invested. I hope you improve the safety of police chases. Thanks for the opportunity. Hi my name is Bruce Collins. I live in Sunnyvale, CA. I wish you all the success in the world. Love entrepreneurship- I'm in wikipedia as Bruce Dwight Collins. All the best. Great business! Hoping for much success! This product is a great tool for the safety of all,We need to help keep that officer in the car and the cars ahead safe,the driver of the vehicle being pulled over does not care about anyone but themselves, I am so happy for this idea and to be part of it!! 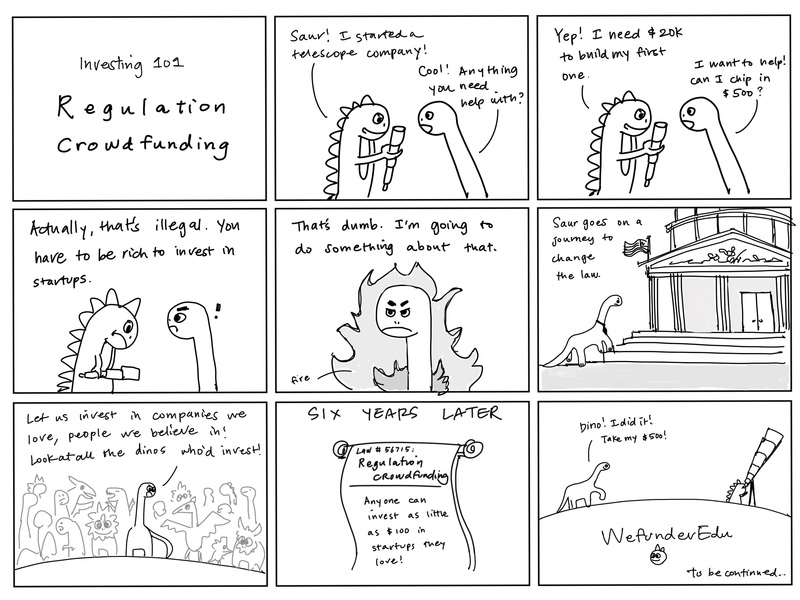 Disable, have time to read on start up companies, I think it's a big deal this is perfect for all the right reasons!! www.linkedin.com/in/craigvomlehn Glad to meet you and be a part of this. Love the concept and product. Hoping it can change the industry. Wishing us all luck and great success. sorry personally I do not have a skill but I have confidence in you and your skill that your sincere and skillful team will succeed soon and I want to be proud company of your delightful journey. Good morning, my name is Leyla Callahan. I found your idea and product is very interesting and potentially successful! I wish you luck and I am investing minimum amount allowed. By Duane WolfePoliceOne Contributor With a growing number of officers killed and injured during the deployment of tire deflation systems, Pursuit Management's MobileSpike offers an alternative deployment method. The system consists of a combination push bumper and mechanical arm. The arm can be set to deploy the spiking strip on the left or right side and weighs about 86 pounds. High speed chases have killed thousands of suspects, bystanders and police. Dukes of Hazzard beware. The White Bronco? No match for the MobileSpike. MobileSpike Technologies Inc., a law enforcement technology company, launched an $1 million equity crowdfunding campaign on FlashFunders to fund the production of its patented tire-deflation-stick technology. The MobileSpike is mounted on the front of police vehicles and allows police to disable fleeing vehicles with the push of a button. 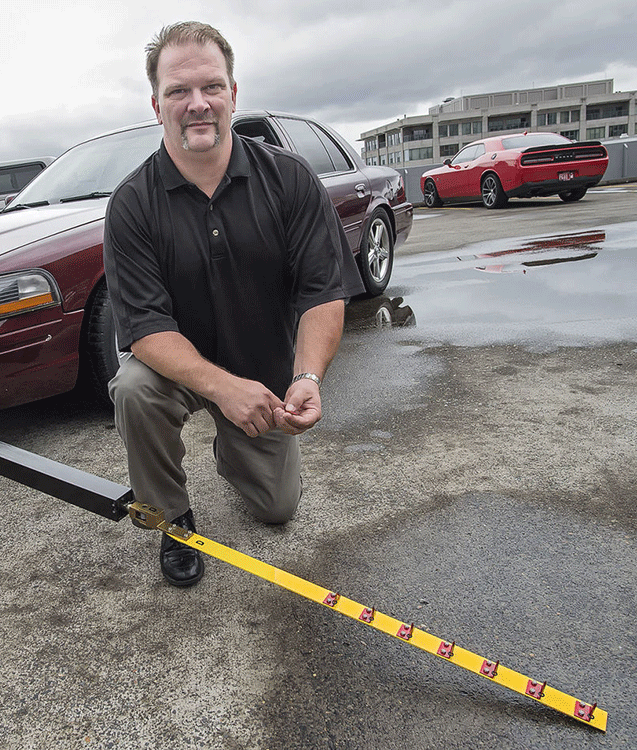 VANCOUVER, Wash.--(BUSINESS WIRE)-- MobileSpike Technologies Inc., a life-saving law enforcement technology company, is launching an equity crowdfunding campaign to fund the production of their patented tire-deflation-stick technology. The MobileSpike is mounted on the front of police vehicles and allows police to disable fleeing vehicles with the push of a button. Thanks for vouching for Michael P.! If you'd like to invest in Michael P., please open an account. We'll waive your fees if you do it now. We asked Michael P. for 10 personal references. Can you vouch for Michael P.?